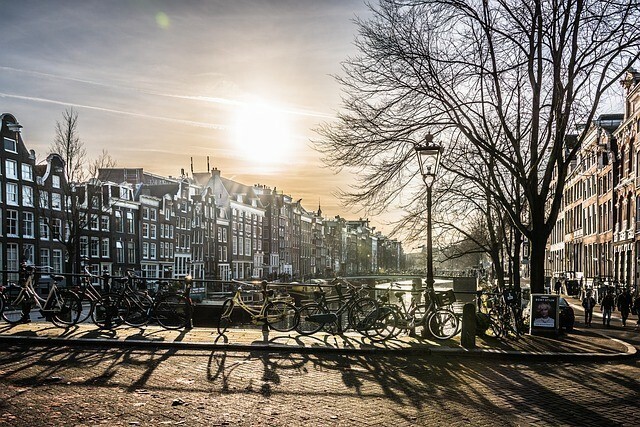 The Netherlands is now the country with the best work-life balance, overtaking Denmark. 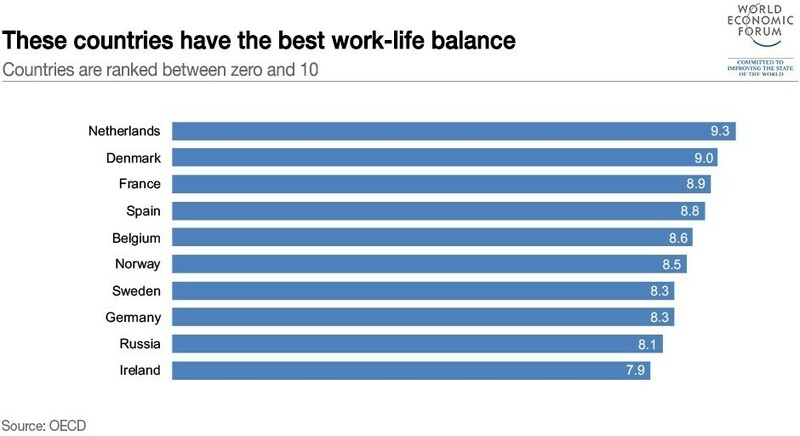 For work-life balance, the Dutch scored 9.3 out of a possible 10, whereas the Danes, now ranked second, scored nine. Of the 35 OECD countries measured in the survey, Turkey’s work-life balance was the worst, rated as zero, while Mexico only scored slightly better with 0.8. Only 0.5% of Dutch employees regularly work very long hours, compared to the OECD average of 13%. Only the French spend more time on leisure and personal care – racking up an impressive 16.4 hours on average per day. The Netherlands also boasts very low rates of youth unemployment, high literacy levels, below average levels of child income poverty and high levels of life satisfaction in childhood – over 93% of 11-15-year-old children report above average life satisfaction, for instance. Work responsibilities are also shared among Dutch families, with the number of women in employment doubling from 35% in the early 1980s to 69.9% today, which is well above the OECD average of 57.5%. There is also a strong sense of community in the Netherlands, where 90% of people say they know a friend or family member they could count on in times of trouble. This is slightly better than the 89% reported across other OECD countries. The Dutch are also highly engaged in the political process – voter turnout during recent elections was 82%, which is far higher than the OECD average of 69%. Among the top 20% of earners, voter turnout was estimated at 92%. However, among the lowest 20% this figure drops to around 71%, pointing to shortcomings in the political mobilization of the worst-off, the OECD says. While 93% of people in the Netherlands are satisfied with the quality of their water, air quality is slightly worse than the OECD average of 13.9%. The level of atmospheric PM2.5 – the air pollutant particles small enough to enter and cause damage to the lungs – is 14 micrograms per cubic metre. Overall, though, the Dutch are more satisfied with their lives than most. When asked to rate their general satisfaction with life on a scale from 0 to 10, Dutch people gave it a 7.4 grade on average, higher than the OECD average of 6.5.